The​ offseason is over.​ Let’s​ get​ weird. Or​ more​ specifically,​ let’s remember​ all the various​ ways that NHL​ teams​ got weird over​​ the last few months. It’s time to fire up the Bizarro-meter, a feature I debuted back in 2013 in an attempt to understand whatever it was the Maple Leafs thought they were doing, and have been using since 2014 to round up every team in the league. It’s a high-tech system which evaluates each team’s offseason oddity index by, uh, giving it a score out of ten. Look, we never said this was complicated. Before we get started, an important annual reminder: “bizarre” doesn’t necessarily mean “bad.” In last season’s list, some of the highest rankings went to the Capitals and Golden Knights, who ended up meeting in the final, as well as to the Avalanche, who shocked everyone by going from dead last to the playoffs. Sometimes, a little bit of chaos can work out well for a team. And maybe more importantly, sometimes a conservative, uninspired, paint-by-numbers offseason is the absolute last thing a team needs. So with that caveat in mind, let’s dig in. As always, a team’s offseason begins the moment its season ends and stretches until last weekend. We’ll start today with the 15 Western Conference teams; we’ll be back to finish up with the Eastern Conference Tuesday. The offseason so far: They locked down Ryan Ellis on a long-term deal, and got future starter Juuse Saros signed at a very manageable number. Mike Fisher retired again, Dan Hamhuis will slot in for Alexei Emelin, and Auston Watson will miss a third of the season pending an appeal of his suspension for domestic assault. But otherwise, last year’s Presidents’ Trophy winners will bring back mostly the same roster. But their strangest story was: Signing Zac Rinaldo always raises a few eyebrows, even when it’s a two-way deal. But the strangest moment of their offseason probably came when Ryan Johansen and Ryan Kesler appeared to arrange a street fight over Twitter. Bizarro-meter ranking: 2.2/10. At this point, not being a jerk on Twitter is basically a terms of service violation, so even the Kesler/Johansen spat doesn’t earn many points. We’re not used to seeing a whole offseason go by without a major trade or two from David Poile, but for now it probably makes sense to stay the course with a top Cup contender. The offseason so far: It started early, with the firing of GM Chuck Fletcher in April. But other than that, it’s been strangely quiet; the biggest headlines were the signing of Matt Dumba to a $30-million extension and a buyout for Tyler Ennis. But their strangest story was: Not making many moves. The Wild have been spinning their wheels for years now, always good enough to make the playoffs but never quite good enough to feel like a real contender. At some point, they’re going to need to move forward or take a step back. For now, they seem content to plod ahead with the status quo. Bizarro-meter ranking: 3.7/10. New GM Paul Fenton appears to be taking a wait-and-see approach. Sometimes that works out well. Sometimes it just means another lost season. The offseason so far: It’s been largely a case of maintaining the status quo, which makes sense given the season they’re coming off. The only major departure was deadline rental Paul Stastny, and they didn’t add anything major. Instead, the big headlines were around extension for existing players, including an intriguingly long one for Connor Hellebuyck, a disappointingly short one for Jacob Trouba, and an impressively cheap one for Josh Morrissey. But their strangest story was: Signing captain Blake Wheeler to an extension that will carry an $8.25 million cap hit until he’s 37. That deal was mostly well-received in Winnipeg, although other reviews haven’t been as kind. Bizarro-meter ranking: 4.2/10. The Wheeler deal may well turn out to be a mistake. But bizarre? Not really. 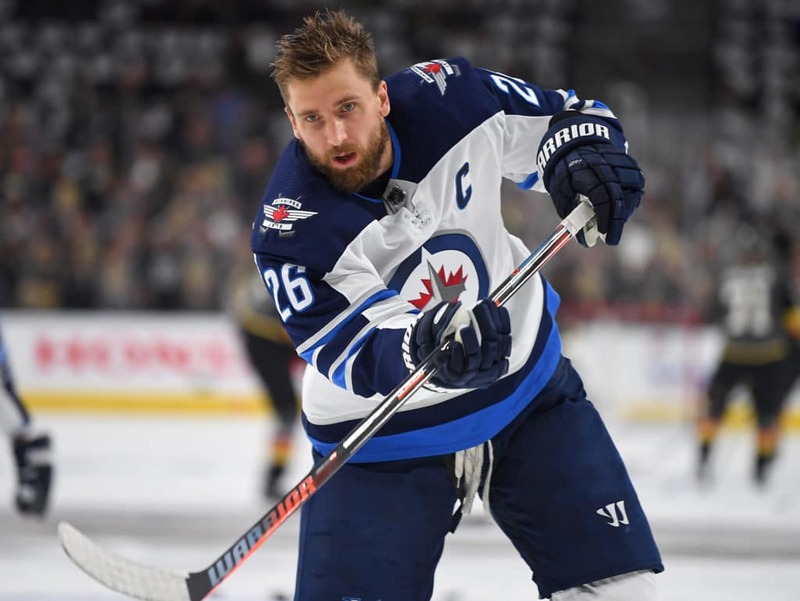 Wheeler is enormously popular in Winnipeg, is coming off a career year, and is the team’s captain. 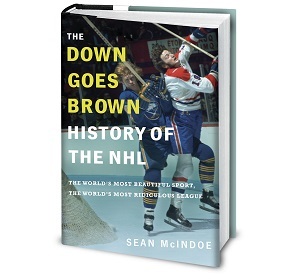 NHL teams almost never play hardball with those sort of guys, even if there’s some evidence that they should.